Mission of Hope Haiti aims to reach entire villages through local Haitian churches. Their goal is to see Haiti’s churches strengthened, its villages changed, the Gospel proclaimed, and lives transformed. We will board the True North and sail to remote villages to help advance the church. By sailing, we can reach villages that are less likely to have heard the Gospel due to the poor road conditions. We’ll eat breakfast and dinner on the ship. You’ll also sleep aboard the ship in air-conditioned, bunk-style berths. If you are a light sleeper, you may want to bring earplugs. If you have trouble with motion sickness or claustrophobia, this might not be the trip for you. During the day, we will share the Gospel and work on construction projects. Construction experience is not required. On the rest day, we’ll head to a secluded beach where you can enjoy the beauty of Haiti and reflect on all that God has shown you. The cost of the trip is $2,000. 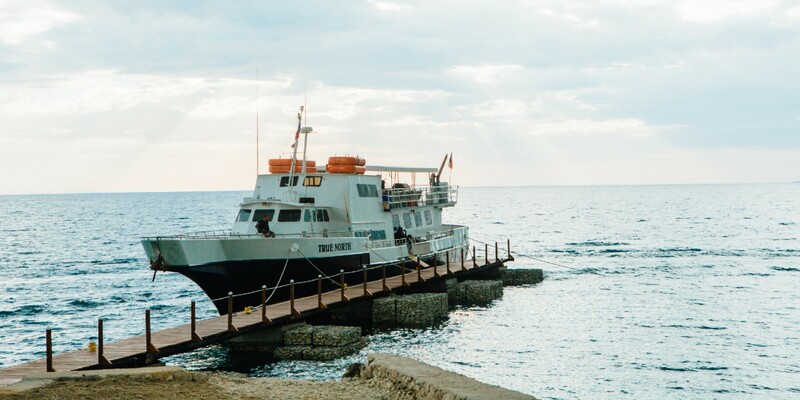 This includes airfare, lodging on the boat, meals, and transportation while in Haiti. After being accepted, a $150 non-refundable deposit is due to reserve your spot. You are responsible for meals and snacks in the airports, any souvenirs you want to purchase, as well as a $10 tourist fee upon arriving in Haiti. Additional costs may include updating your passport and any vaccines you choose to receive before traveling. Click on one of the dates below to apply now. Do I have to be part of NewSpring Church to go on this trip? We give preference to NewSpring volunteers, but you do not have to be part of NewSpring to apply. If you’re interested in getting involved at NewSpring, join us at Connect Classes. What is the age requirement to participate in a NewSpring Missions Trip? For Fuse trips, you must be a current Fuse student who will have completed their sophomore year of high school prior to the trip date. For open trips, participants must complete their sophomore year of high school to attend without a parent. Anyone under the age of 18 must have parental consent to participate on a trip. Guatemala trips are eight days, including travel. Haiti trips are seven days, including travel. Yes. Traveling outside the United States requires an up-to-date passport. Passports cost approximately $175. On how to apply for a U.S. Passport visit here. Did my application go through? You will receive a confirmation email within two minutes of submitting your application. If you did not, please fill out the application again. What vaccinations do I need to get? Please visit the CDC website for the country you are traveling to and consult your medical doctor to determine what vaccinations you will need. How can I see what is happening on mission trips? Follow @nsmissions on Instagram and Twitter as we travel around the world! Are sponsorships or scholarships available for NewSpring Missions trips? Close to 90 percent of participants raise money to cover the cost of their trip. NewSpring does not offer scholarships or sponsorships, but we do offer free T-shirt designs, as well as other suggestions to help you fundraise. If we did not answer your questions about the trip, please contact us for more details.